The General Assembly has designated 22 April as International Mother Earth Day to promote and reflect upon a non-anthropocentric, or Earth-centred, worldview. At the core of this worldview is the recognition of the intrinsic value of Nature, within which relationships between humankind and the planet are symbiotic, interconnected and in harmony with the natural laws of the Universe. 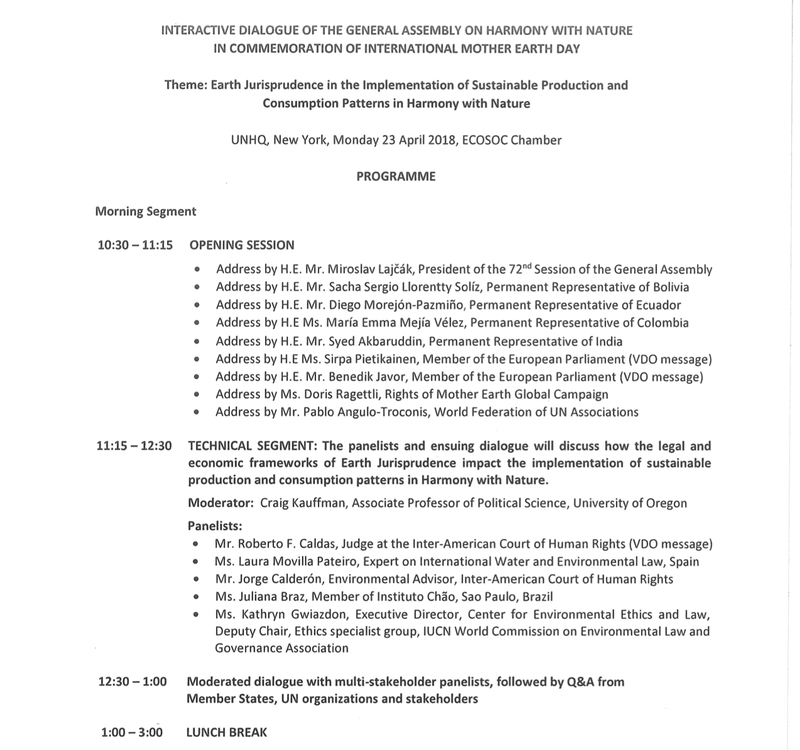 The 2018 Interactive Dialogue of the General Assembly on Harmony with Nature will address how the above-mentioned legal and economic frameworks are being applied to further the implementation of sustainable production and consumption patterns in Harmony with Nature to advance the overall implementation of the 2030 Agenda for Sustainable Development. 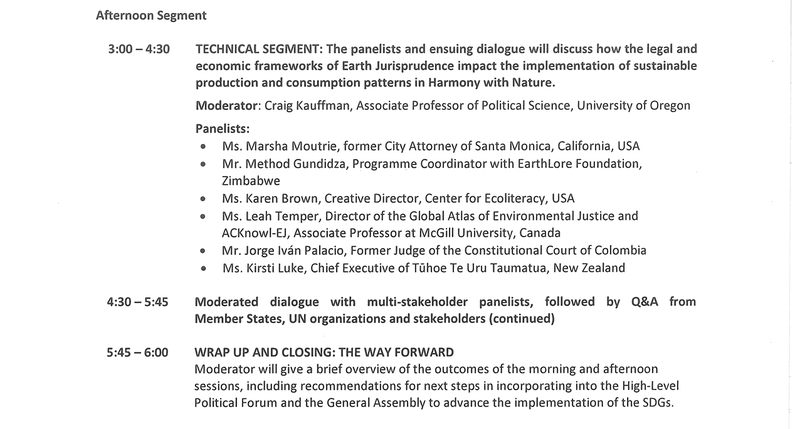 The Dialogue also aims to inspire citizens and societies to reconsider how they interact with the natural world and to improve the ethical basis of the relationship between humankind and the Earth in the context of sustainable development.